While the upkeep of a central AC is discussed about a lot, the maintenance of an air-conditioning unit often remains neglected. This may affect its efficiency and shorten its lifespan. Fortunately there is a simple way to avoid this – cleaning your AC unit at the start of the summer and while the season ends, and that will help you avoid any serious damage to your unit. Here are some easy steps to clean your unit. However, before you start cleaning, make sure you disconnect your AC unit from the electric outlet, because if it remains plugged there, you may receive a terrible electrical shock. After you unplug your unit, make a solution of water and a small quantity of dish soap and dip a soft cloth in it. Squeeze it properly to remove all the extra water because any water should not drip inside the unit to cause a major damage. Now gently wipe the exterior of the unit with the damp cloth. After you got the unit’s surface cleaned, remove the front cover. Most are easy to remove without too many tools, while some may require a screwdriver. If the cover has screws, make sure you place them at a safe spot. After removing the cover, remove the filter carefully. Gently wash it with warm water and dish soap. 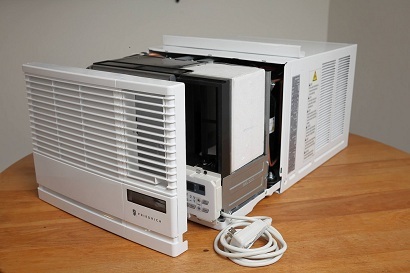 Give it a good rinse, shake it well (away from the AC unit) to remove any extra water and keep aside to dry. Using the brush attachment, vacuum the condenser coils or evaporator inside the AC unit carefully. After you remove all the dirt and debris from the inside of the unit, vacuum the exterior condenser coils. As a last step, just wipe down the fan blades. Wait till everything is dried. After that, reassemble your unit. You can do this cleanup every start and end of the season and it should keep your AC unit problem-free. Even then if it undergoes some problem, you can call an expert like an air conditioning repair Carrollton TX. The drain at the backside of the unit tends to get clogged and in that case water that gathers inside the AC gets no room to exit and leaks inside the room from whichever opening it finds. Also, when this water finds no vent, the room’s humidity level increases. So, besides cleaning the AC unit, it’s also essential to clear the rear drain. 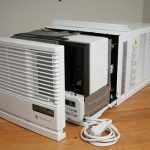 Maintain your AC unit with these tips to expand its lifespan and efficiency to enjoy cooling all through the season.